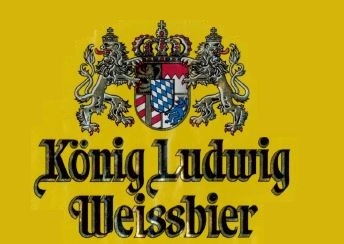 König Ludwig Weissbier: The royal heritage of this Bavarian hefeweizen can be traced back to 1260 when the House of Wittelsbach first began the brewery, and even the current proprietor, Prince Luitpold of Bavaria, is the great-grandson of the last King (König) of Bavaria, Ludwig III. If you’re ever in the presence of His Royal Highness who is actually quite passionate about beer, pronounce the beer “Kur-Nick Lood-Vick Vice-Beer”, not “Koh-Nidge Lood-Wig Whys-Beer”. On a side note, the German Purity Law of 1516 (Rheinheitsgebot) that stated that beer could only be made from barely, hops and water is not only one of the world’s most famous food regulations, but was also created by the prince’s ancestors. In addition, you know that beer festival in Munich called Oktoberfest? That was started by the prince’s Great-Grandfather. 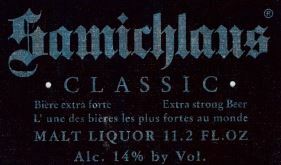 Samichlaus: In the past, you might have noticed this statement on the label of this 14% ABV Austrian-produced beer: “THE STRONGEST BEER IN THE WORLD. GUINNESS BOOK OF RECORDS”. But of course that record was from 1982, as there are several other stronger beers on the market today. What you won’t find on the label though is how to pronounce “Samichlaus”, which by the way is the Swiss-German word for Santa Claus. The Swiss pronounce it “Sam-Ehk-Laus” where the “Ehk” is pronounced as when hocking a small loogie. You can hear a Swiss youngster pronouncing “Samichlaus” at about 1:50 in this YouTube clip. So why is Austria producing a Swiss beer? Samichlaus was originally brewed by the Hürlimann brewery in Zürich, Switzerland, and closed in 1997, but the beer was revived by the Austrian brewery Schloss Eggenberg in collaboration with the original Hürlimann brewers using the same recipe. Utopias: Speaking of strong beers, since 2002 the Guinness Book of Records for strongest beer in the world goes to Sam Adams Utopias which at the time weighed in at 25% ABV, although there have been stronger releases of Utopias since. It’s not that the name of this rare beer is hard to pronounce, “You-Tope-E-Ahs”, it’s that many people leave off the “s” at the end probably because we’re more familiar with the word “utopia”. But as sure as this beer is strong, there’s an “s” at the end, and it’s not a silent “s”. Stella Artois: By now, Stella Artois has saturated almost every bar and restaurant in the U.S., replacing Heineken as the go-to import beer for those who think that “imported” means sophisticated. And the last thing you want to do when trying to appear sophisticated is to fumble your words. When in doubt, stick with “Stella”. But if you really want to classy it up, go all-in and order a Stella “Artois”, pronounced “Art-Wa” (not “Our Toys”). For the ultimate touch of class, order it Streetcar-style and scream “STELLA!! !”, but then don’t look surprised if people confuse you with James Bond, you suave devil you. 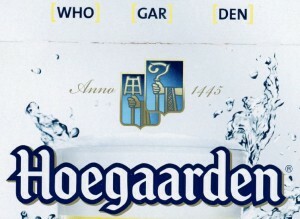 Hoegaarden: There’s such a mispronunciation-epidemic of this word that the brewery prints the phonetic spelling of the word right on 12 pack boxes. No, it’s not pronounced like what Snoop Dogg might call a park in Compton, but more like this: “Who-Gar-Den”. Like this blog? Well, thanks- we appreciate you!